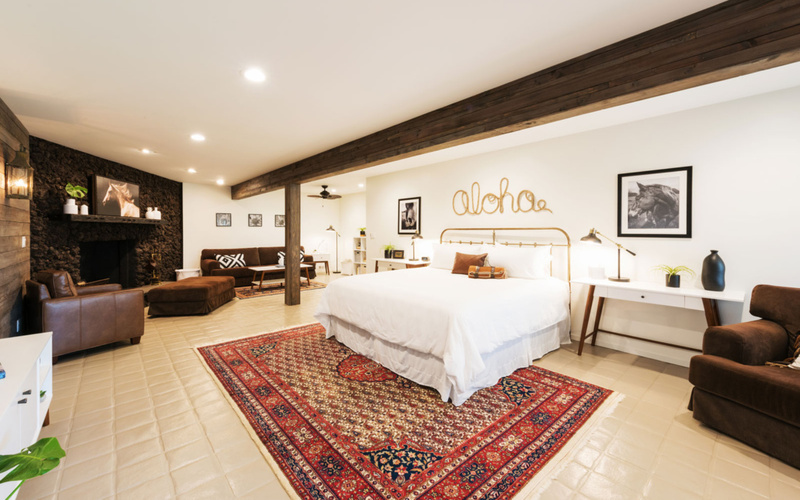 North Shore Lookout is a boutique bed and breakfast situated on nine acres of agricultural land near the charming town of Makawao, located in the desirable area of Upcountry Maui. With outstanding ocean views of the North Shore coast line and West Maui mountains, its tranquil setting is ideal for those seeking a sanctuary away from the crowds. Our central location provides an ideal spring board for those wanting to explore all sides of the island. 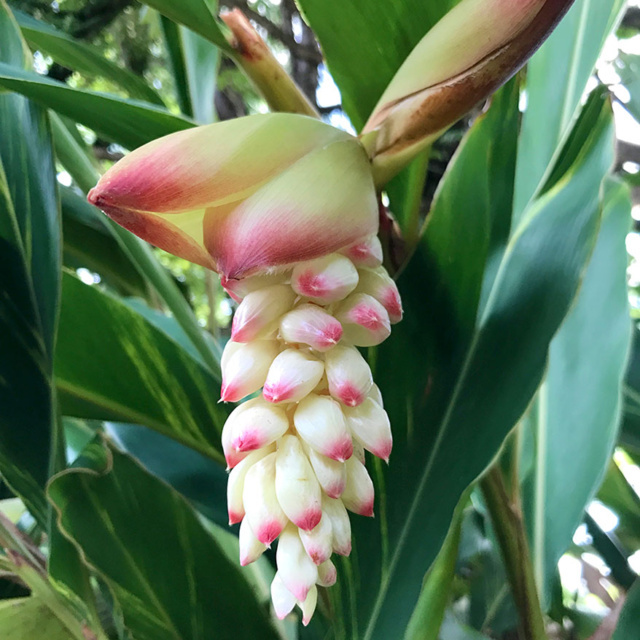 Come stay on the side of adventure and explore all of the activities the North Shore and Upcountry area have to offer! 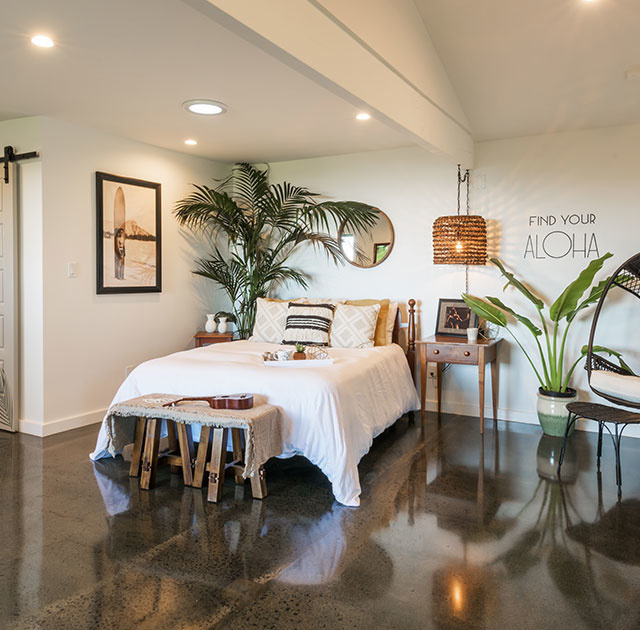 North Shore Lookout’s close proximity to activities, large suites, modern Hawaiian style and delicious breakfasts are pushing the boundaries of what it means to be a Bed and Breakfast! 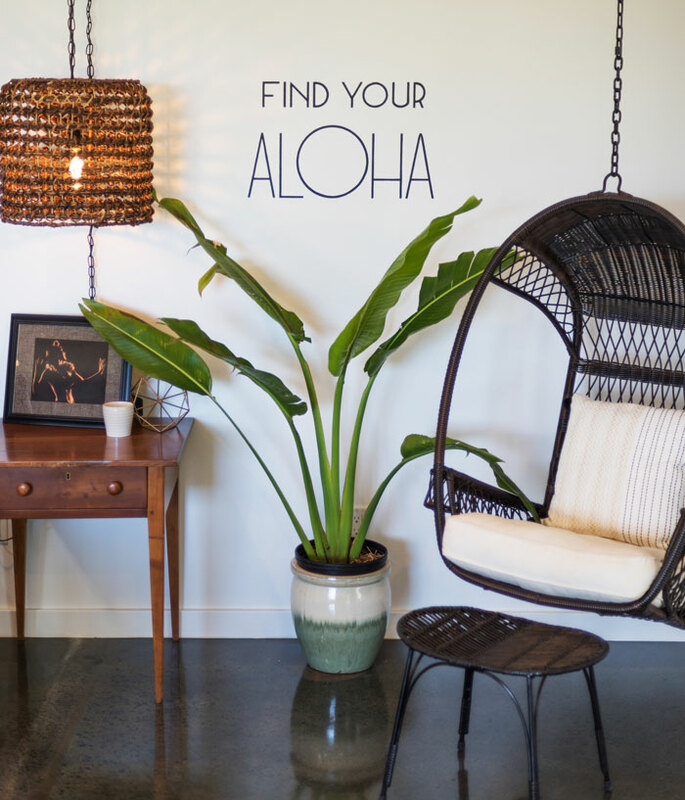 We encourage our guests to get outside, explore more and find your aloha. North Shore Lookout has a Polynesian plantation feel to it that is sure to relax and rejuvenate the soul. We recently completed a full remodel and all rooms have been designed to capture the privacy, tranquility and serenity of the land. Our five suites are large and very private from each other. All suites have their own lanai, private baths, seating and eating areas. Breakfast is included and served in the Café daily from 7:30-9:30am. A high-end continental is served including gourmet breads, grains, local vegetables, fruit, fresh juices, coffee and tea. Specialty juices, coffee drinks, smoothies and wellness shots can be ordered and prepared when available. 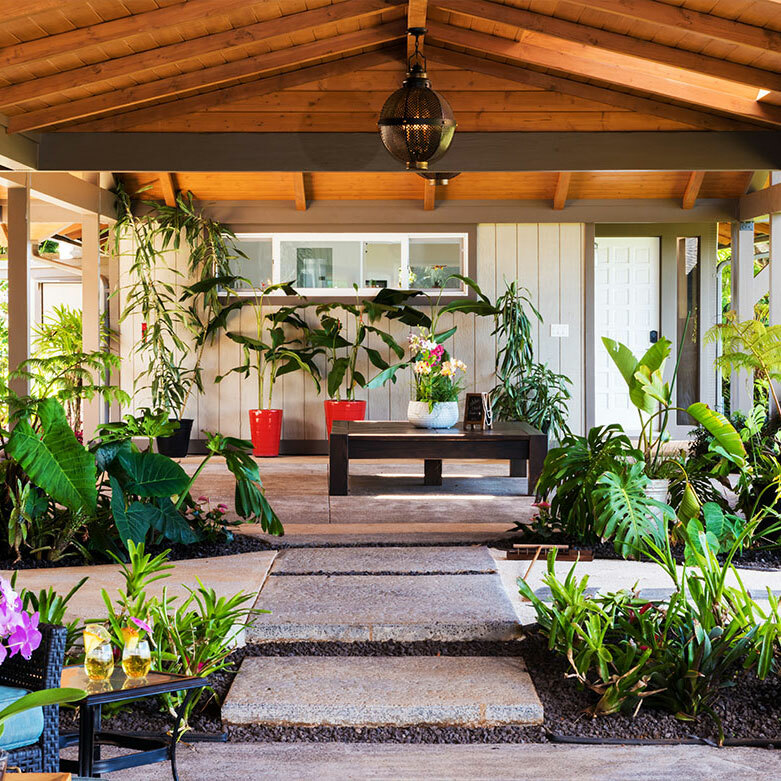 Our grounds feature a beautiful lava pool deck with tropical plantings and a serene pool and jacuzzi. We are also a working farm growing various fruits and vegetables and raising several farm animals including a Kune Kune pig and horses. Though we are a farm, we have all the small luxuries that make a Maui vacation truly memorable. North Shore Lookout’s large suites, modern Hawaiian style and delicious breakfasts will re-charge you for all your Maui adventures! 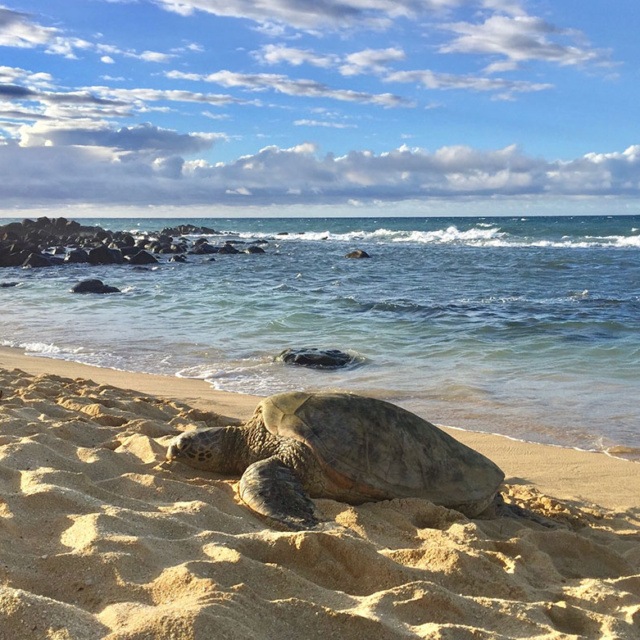 North Shore Lookout is conveniently located 10 miles from the Kahului International Airport (OGG) and rental car agencies, making the short 25-minute drive to paradise a breeze! Mahalo for your interest in North Shore Lookout. Please contact us with any questions or inquiries you may have. Aloha!